The WITH CHECK OPTION: The WITH CHECK OPTION is a CREATE VIEW statement option. The purpose of the WITH CHECK OPTION is to ensure that all UPDATE and INSERTs satisfy the condition(s) in the view definition. If they do not satisfy the condition(s), the UPDATE or INSERT returns an error. The WITH CHECK OPTION in this case should deny the entry of any NULL values in the view’s AGE column, because the view is defined by data that does not have a NULL value in the AGE column. When a view is created, the name of the view is stored in the sysobjects table. Information about the columns defined in a view is added to the syscolumns table, and information about the view dependencies is added to the sysdepends table. In addition, the text of the CREATE VIEW statement is added to the syscomments table. This is similar to a stored procedure; when a view is executed for the first time, only its query tree is stored in the procedure cache. Each time a view is accessed, its execution plan is recompiled. The view will become invalid whenever the base table is altered. We can recompile a view using the Alter view statement, but oracle automatically recompiles the view once it is accessed. On recompiling the dependent objects become invalid. Inserting Rows into a View: Rows of data can be inserted into a view. The same rules that apply to the UPDATE command also apply to the INSERT command. This would ultimately delete a row from the base table CUSTOMERS and same would reflect in the view itself. The DROP VIEW statement is used to remove a view or an object view from the database. You can change the definition of a view by dropping and re-creating it. The view must be in your own schema or you must have the DROP ANY VIEW system privilege. You may drop a view permanently when it is no longer useful or temporarily. If the view is not useful it could be dropped. Also, if a view needs to be changed it would be dropped and then created again with changes in place. When a view becomes obsolete, it can be removed from the system with the DROP command. Security: Each user can be given permission to access the database only through a small set of views that contain the specific data the user is authorized to see, thus restricting the user’s access to stored data. Query Simplicity: A view can draw data from several different tables and present it as a single table, turning multi-table queries into single-table queries against the view. Structural simplicity: Views can give a user a “personalized” view of the database structure, presenting the database as a set of virtual tables that make sense for that user. Consistency: A view can present a consistent, unchanged image of the structure of the database, even if the underlying source tables are split, restructured, or renamed. Data Integrity: If data is accessed and entered through a view, the DBMS can automatically check the data to ensure that it meets the specified integrity constraints. Logical data independence: View can make the application and database tables to a certain extent independent. If there is no view, the application must be based on a table. With the view, the program can be established in view of above, to view the program with a database table to be separated. Performance: Views create the appearance of a table, but the DBMS must still translate queries against the view into queries against the underlying source tables. 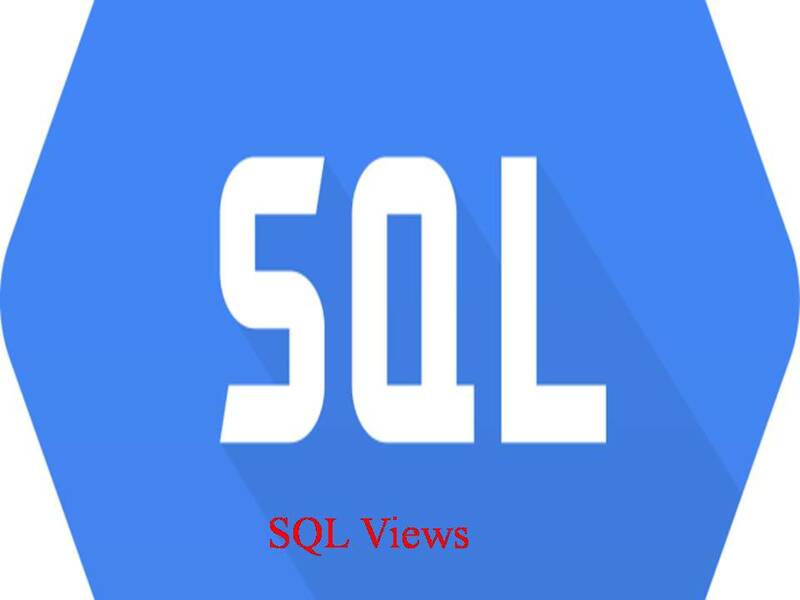 If the view is defined by a complex, multi-table query then simple queries on the views may take considerable time. Update restrictions: When a user tries to update rows of a view, the DBMS must translate the request into an update on rows of the underlying source tables. This is possible for simple views, but more complex views are often restricted to read-only.